Tomorrow sees the first day of the performance laboratory at Wimbledon as part of Acts Re-Acts 4. For the next two days, values around the college including the theatre and the Wimbledon Space gallery will be taken over for a ‘performance laboratory’: a series of performances, new media, installations, talks and exhibitions which will celebrate and explore live performance work in its many forms. 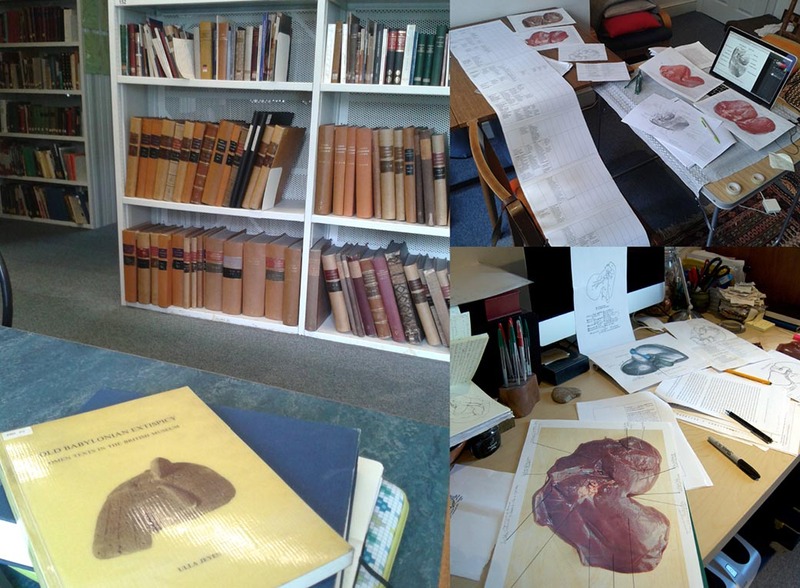 Here, Amanda Couch who will be performing on Saturday 4 March, writes about her piece A Woman Holding A Liver and the links she has found between the practice of divination which can be traced by to ancient times and the practices of modern and contemporary artists that have interested and inspired her. 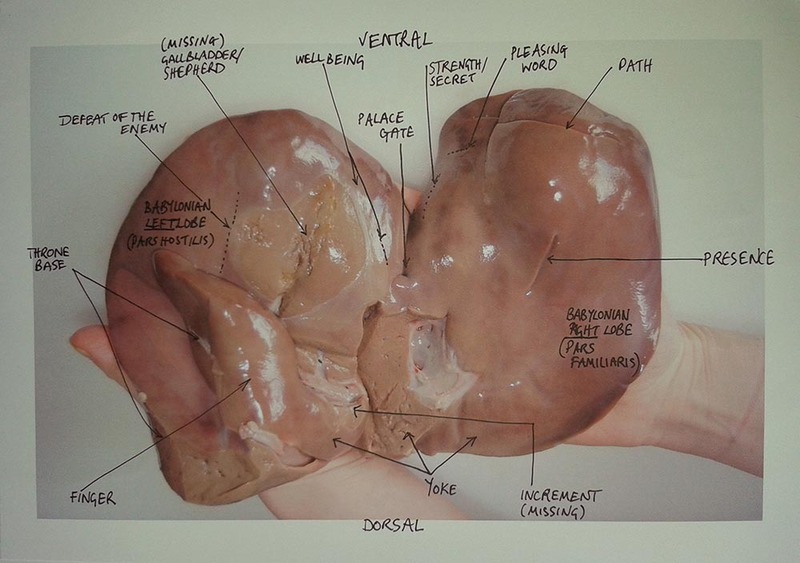 Map of the Front of the Pouch, the visceral side of the liver, courtesy Amanda Couch. Image above: The Stele of ‘Diotima’, the fifth-century marble relief from Arcadian Mantineia, which depicts a female seer holding a liver, c. 420 – 410 BC in the National Archaeological Museum of Greece, Athens. 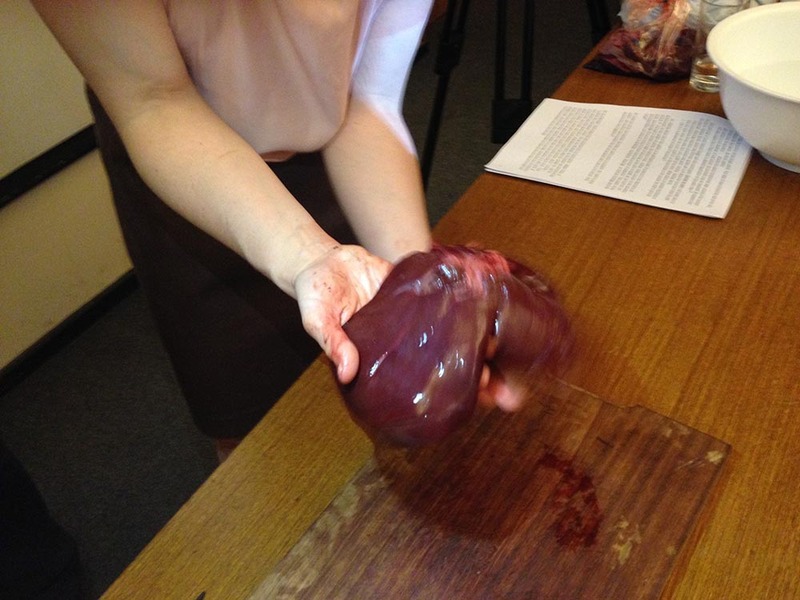 A Woman Holding a Liver is a contemporary manifestation of the ancient ritual of haruspicy or liver divination. The piece for Acts Re-Acts 4 will be in two parts: the first, an introduction to the history of liver divination, and the contextualisation of divination in relation to chance strategies in art, and then a divination of a lamb’s liver: Here the audience will be guided to collectively pose a question to ask the liver, which will elicit a binary, ‘yes’ or ‘no’, answer. I will then choose, at random, a liver from a sealed bag of two, purchased from my local butchers, and explore the twelve parts of the Front of the Pouch, or visceral surface of the liver, ‘reading’ the signs that are ‘written’ and interpreting their meaning to intuit the liver’s answer. I have been studying and practicing liver divination for a few years now. Haruspicy is an example of inductive divination, which is the process of observing signs and extrapolating meaning from them. Particularly exploring practices in ancient Mesopotamia and Greece, I have learnt the system and standard meanings as translated and interpreted from ancient texts, images and models, and through the work of classical scholars, (for example, Derek Collins, Michael Attyah Flower, Eckart Frahm, Annette Hupfloher, Morris Jastrow, Ulla Jeyes, Ulla Susanne Koch, Matthew Rutz), to connect to this ancient way of knowing from within. Ulla Jeyes, ‘Old Babylonian Extispicy’, (1989) book at Warburg library, and work with divination diagrams, images, omens and livers. 2016. According to Matthew Rutz, specialist in Assyriology, in his book Bodies of Knowledge in Ancient Mesopotamia: The Diviners of Late Bronze Age Emar and their Tablet Collection, “Divination is a means to establishing non-obvious connections among categories of thought in order to make sense of the world, creating a nexus for interpreting elements of the past, present, and future. As a mental practice divination is predicated on the observation of the phenomenal world and the differentiation of significant signals from the noise and randomness of experience”. Haruspicy was, and in some cultures is still used to guide enquirers through such ‘noise and randomness’ to help make important decisions. The project has developed from its use to aid decision-making in my own life, particularly in relation to my academic career and art practice, evolving into this artistic project, with chance very much at its heart. Dada was arguably one of the earliest adopters of chance as a strategy. Dadaist Hans Richter, wrote in 1965 of its ‘secret way’ which was, “to restore the work of art its primeval magic power, and to find the way back to the immediacy it had lost through contact with people like Lessing, Winckelmann and Goethe. […] Absolute acceptance of chance brought us into the realm of magic, conjurations, oracles, and divination from the entrails of lambs and birds”. One hundred years on from the birth of Dada, strategies of chance remain an important method in art practice. Approaches range from those who use chance to introduce uncertainty and contingency in the making, where, as Margaret Iversen, put it, ‘a process is set in motion that has unpredictable results’, for instance, Robert Morris’ felt works of the 1970s, Gabriel Orozco’s performative object, Yielding Stone 1992, which he pushed through the streets of New York; to those dealing with high-risk performative procedures, for example, Marina Abramović’s Rhythm 0 1974 in which she laid objects on a table and allowed the public to utilise them to manipulate her in any way they chose, Bas Jan Ader, whose final work In Search of the Miraculous II, 1975 was a fated attempt to cross the Atlantic alone in a small sailboat, but his body was never found; as well as artists like John Cage, through to Nari Ward and Huang Yong Ping, who use divinatory techniques to determine the progression of a work and/or a set of ideas. The title of my project, ‘A Woman Holding a Liver’ comes from a paper by classicist Annette Hupfloher’s entitled The Woman Holding a Liver from Mantineia: Female Manteis and Beyond where she explores the fifth-century marble relief from Arcadian Mantineia, the Stele of ‘Diotima’ which depicts a female seer holding a liver, c. 420 – 410 BC in the National Archaeological Museum of Greece, Athens. In most of the ancient world diviners were usually only highborn men, but in Greece gender or class was no barrier, and anyone was able to become a seer. Yet despite such apparent activity, this stele appears to be the only representation, visual or literary of a female mantis/manteis in existence. A Woman Holding a Liver takes place at 1pm on 4 March as part of the Acts Re-Acts 4 performance lab. Find out more about this and the rest of the day’s programme on the event page. Find out more about Acts Re-Acts 4.